Reports of Shulkin’s resignation may be greatly exaggerated. Photo: Tom Williams/CQ-Roll Call,Inc. Some in the White House have been reluctant to oust McMaster from his national security perch until he has a promotion to four-star rank or other comfortable landing spot. They are eager to show that someone can serve in the Trump administration without suffering severe damage to their reputation. While the next two firings did not involve details like getting “canned on the can,” they were still fairly embarrassing. On March 22, Trump tweeted that John Bolton would replace H.R. McMaster as national security adviser, though his future plans were still in flux. Less than a week later, Veteran Affairs Secretary David Shulkin was ousted in similar fashion. It seems Trump was not committed to the plan to stop kicking staffers on the way out, but now the problem may go beyond driving away potential hires. Shulkin is disputing the White House’s claim that he resigned, which could complicate Trump’s effort to name Wilkie acting secretary, and possibly spark legal challenges over any actions taken at the department before White House physician Ronny Jackson is confirmed by the Senate. Shulkin has been publicly battling the Trump administration narrative since the day after he was fired, when he penned a New York Times op-ed. 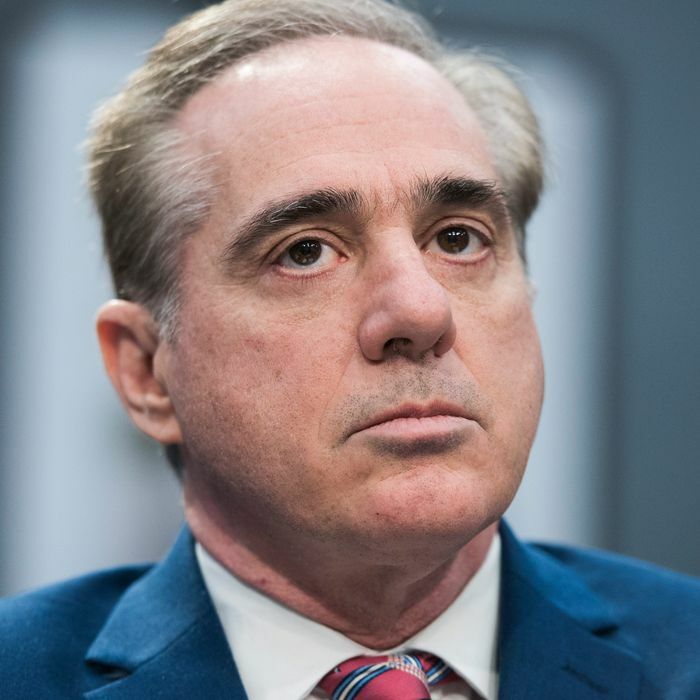 In it he claimed an inspector general report that said he misused taxpayer funds on a European trip was politically motivated, and said he was actually pushed out because he opposes efforts to privatize the VA.
Shulkin denied that he submitted a letter of resignation, and said he’d spoken to Trump hours before his tweet and he gave no indication that he was about to be fired. “We talked a lot about issues at VA that were important and how we could continue to make progress on policy issues,” Shulkin said. Kelly and other aides wanted Bowman gone before Shulkin left to avoid installing the deputy at the helm, even temporarily. Bowman had pushed back on broad privatization efforts, leading Trump to berate him in an Oval Office meeting for his lack of loyalty. Under the Federal Vacancies Reform Act of 1998, the president can temporarily fill a vacancy at a federal agency with anyone who has been confirmed by the Senate — if the current office holder “dies, resigns, or is otherwise unable to perform the functions and duties of the office.” The law doesn’t specifically mention firing, which according to some experts, could spark a legal challenge. Wilkie could wind up serving as the VA’s acting secretary for some time, as it’s unclear how long it will take the Senate to confirm Jackson. Trump has made three nominations requiring Senate confirmation in as many weeks, and some senators aren’t keen on Trump elevating his personal physician, who has no experience in running a department as large as the VA. If Wilkie was put in place so he could begin making changes at the VA immediately, advocacy groups may take legal action to block those measures, on the grounds that his appointment isn’t allowed under the Vacancies Reform Act. Democrats may also be eager to test the limits of the law, as there’s speculation that it could come into play if Trump fires Attorney General Jeff Sessions. Deputy Attorney General Rod Rosenstein appointed Special Counsel Robert Mueller and Trump complained that he’s a Democrat (though he isn’t), so it seems likely that he would try to block him from becoming acting AG.